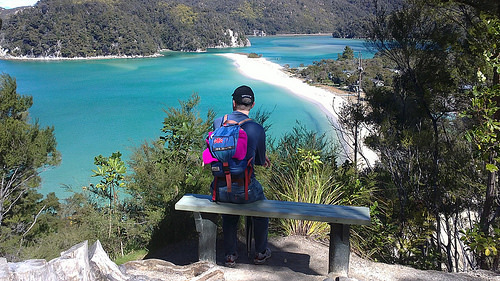 A question travellers often ask us is: “Packing for New Zealand holiday, what should I bring”? Well, it’s very simple – less is more! It’s most important to bring the right type of clothing for travel in NZ. New Zealand is an outdoorsy place, so the focus certainly won’t be on fancy night dresses and suits. Where the more practical outfits that relate to whatever your trip entails. Does packing relate to the length of my holiday? Generally speaking, the longer you travel, the less luggage you should take with you. This is what we discovered over the past 30 years when travelling the world. You simply cannot and do not want to prepare for all eventualities. We’ve all seen those travellers dragging several pieces of suitcases behind them – don’t go there! There are smarter ways to travel ‘light’. 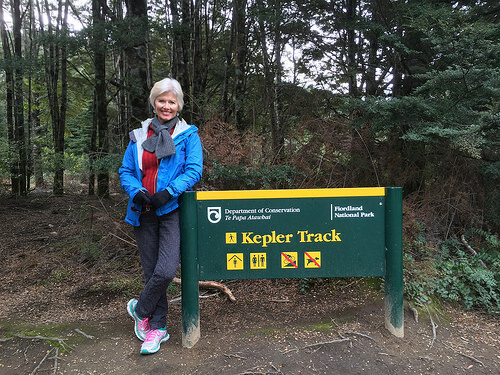 What to wear in the great New Zealand Outdoors? We recommend the ‘onion system’. What this means is basically layering your clothing. Where layers that can be peeled off and on, according to the weather situations. This is actually has the most effective strategy for reducing your packing space in your luggage. For some outdoor tours – see heli hiking on glacier – you will get be provided with just about everything you need (e.g. boots, rain jacket, gaiters, walking stick). If you’re going hiking in New Zealand’s great outdoor, always remember to take a rain jacket. Do include a day pack to for extra food, water bottles, mobile phone, valuable and other helpful items. And remember this – don’t leave credit card and passports in your car! Using a day pack is perfect as hand luggage on an aircraft. 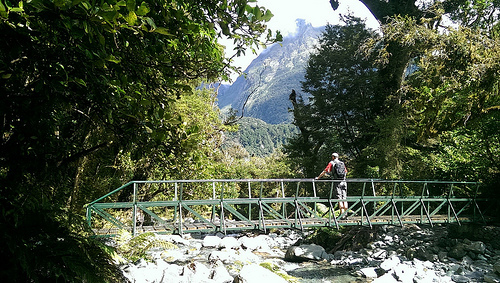 Read on re day walk like the Hollyford Track. Now, this one is often forgotten. Most accommodation providers will have clothes washing options. In B & B lodges, you will have access to a washing machine and dryer.. Most hotels have a laundry service. And the cost is fairly minimal – you just pay for the washing powder. Hotels might charge you a laundry fee, so watch out for that one. Short list of practical clothing for New Zealand? Wet weather gear – such as good rain jacket, best going over you bum so all is covered in case of heavy rain. Sun protection – sun glasses and sun hat are must haves. You can buy strong, local sun block in NZ. 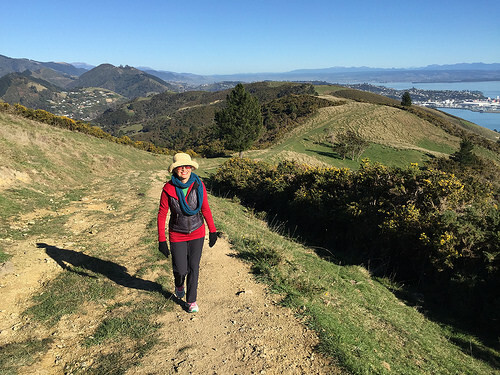 Hiking shorts or longs – most ‘kiwi’ New Zealanders walk in shorts. If in longs don’t use jeans (not good it wet). Shirts and T-shirts – for walking hiking we don’t recommend cotton as it also get’s cold when wet. There are better materials. Walking shoes – comfortable trainers are generally fine for walks. For more serious hikes, high ankle boots are a must. Informal clothing for evenings – New Zealand dress code for restaurant is usually ‘smart casual’. No need for suits here. Warm clothing – take one or two pieces of warm clothing with you. Any time of the year. See New Zealand weather. Depending on the car size, the luggage space of your rental car, might be limited. The general rule is that 2 x mid-size pieces will go into a Compact or Intermediate vehicle. If your suitcase is big, you might only fit in one piece and a hand bag. SUV rental cars are good, as their luggage space is large. Now the 8-seater peoplemover (especially Toyota Previas) have limited luggage space. Even thought they have eight seats, there is actually not enough space for 8 pieces of suitcases! Now when it comes to motor homes, soft bags store better than large suitcases. Again, it all depends on the vehicle size (either camper or motorhome). 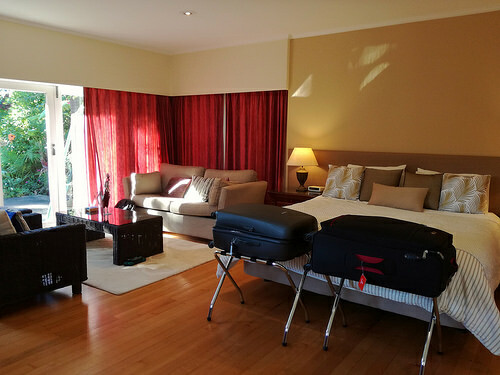 With domestic flights in New Zealand, you are permitted a maximum 2 x pieces of luggage at 23 kg per piece each person – plus one piece of hand luggage at 7 kg per person. This is fairly generous. If you need more luggage, you will need to purchase ahead. This is recommended, as it will cost you much more at the counter if you add more luggage to check-in. This is the smartest move of the lot! Instead bringing your old (and trusted) t-shirts, why not buy some while travelling in New Zealand! Add to your luggage as you go. Bring back some memorable pieces of ‘Kiwiana’. Besides t-shirts, other popular pieces are wool sweaters, sun hats and outdoor clothing. New Zealand has the ever popular ‘Kathmandu’ and ‘Macpac’ brands. Think about some cute fluffy sheepskin slippers! This overall packing suggestion for New Zealand will not cover every aspect (such as bringing your own medicine), but at least it keeps your travel planning focused on the basics!